The bad news, the injury bug has taken a bite out of next Saturday’s “UFC 158: St-Pierre vs. Diaz” lineup. The good news, none of the card’s significant scraps are affected. On Wednesday morning, the UFC announced an undisclosed injury has forced Yves Jabouin out of his bantamweight brawl with Johnny Eduardo. The preliminary bout was slotted to stream live on Facebook. No word on whether the promotion will look to find a last-minute substitute to face Eduardo. However, it’s likely they’ll save him for another event with just 10 days remaining until showtime. 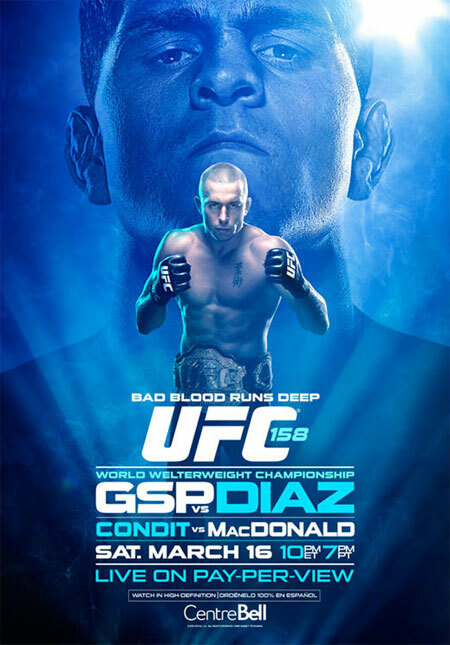 A welterweight title tilt between champion Georges St-Pierre and Nick Diaz headlines the pay-per-view broadcast. Bell Centre in Montreal, Canada hosts the March 16 festivities.